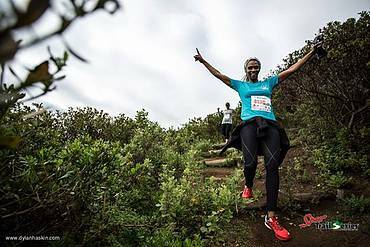 Many of us love to exercise outdoors in the beautiful surrounds of South Africa’s mountains, forests and open natural areas. From navigating your own path through wild spaces to organised cycling events and trail runs, mountain biking or swimming, you can do it all while supporting WWF! When you choose to run, cycle or swim outdoors, you probably do so because of nature’s beauty, the fresh air and a sense of space from getting outside under wide open skies. So many of us appreciate nature’s pristine places and spaces that nourish our body, mind and soul! Yet, many areas of land are not looked after or they deserve to be fully protected due to the insects, birds and animals that rely on the unique plant life to survive. Likewise, humans also rely on healthy expanses of nature to provide clean air, fresh water and the many other ‘’natural services’’. 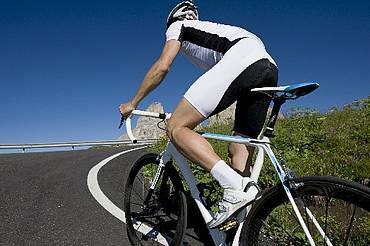 WWF invites active nature lovers to make a small donation to WWF when taking part in nature-based adventure events, to Ride Run Swim for nature. WWF works behind the scenes to conserve landscapes of high biodiversity value such as the Cape Floral Kingdom often referred to as fynbos. Now, active sports and nature enthusiasts can give back to nature with WWF’s “For nature” initiative. This is an opportunity for nature-loving cyclists, runners and swimmers to combine their adventure activities with their love of the outdoors! 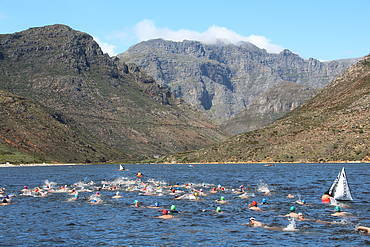 For your next event you can choose to Run Ride Swim for nature in most of the prestigious events in the country or when signing up for an event that is not on our list, you can still contact us to make a donation. Nature is, after all, the ultimate investment – the gift that keeps on giving! You can also buy WWF branded sports gear that has been designed by industry experts for support and comfort when cycling or running, and we have a fun panda-branded swim cap too! When you are done with your day’s activity, you can unwind in one of our t-shirts or warm up in a cosy panda hoodie. WWF has been involved with many popular sporting events over the years. We partner with various outdoor events to create a panda contingent of supporters who participate in branded WWF gear. 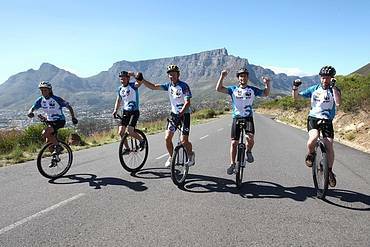 Since 2012 WWF hosted a ‘’panda peleton’’ of committed, nature-loving cyclists in Cape Town’s annual Cycle Tour – the world’s largest timed cycle race – through some of the most spectacular fynbos and natural landscapes around the Cape peninsula. Since 2014, we have also had a panda cycling crew in Joburg’s Telkom 947 Cycle Challenge. 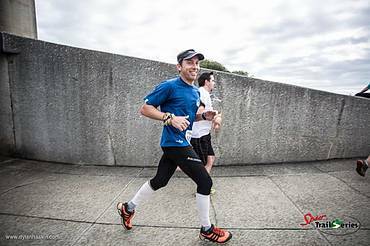 From ‘’Ride for nature’’, the interest grew to ‘’Run for nature’’ in events such as the Sanlam Cape Town Marathon, Old Mutual Two Oceans Marathon as well as the Wildrunner trail run series. 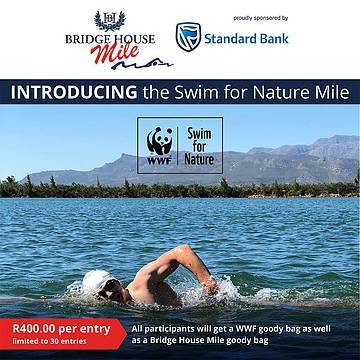 ‘’Swim for nature’’ followed, with the Bridge House Mile in the Western Cape and Midmar Mile in KwaZulu-Natal. Between 2012 and 2018, more than 1,000 people have cycled as part of WWF’s panda peleton in the Cape Town Cycle Tour. 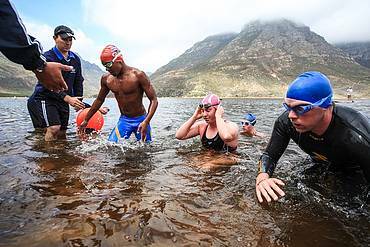 Over R5 million has been raised for WWF through the various Ride Run Swim for nature events – thank you to everyone who values nature as much as we do! Be part of #TeamPanda and enter the Bridge House Mile taking place on 2 March 2019.